I have been clean thanks to you for over 5 months now and life just keeps getting better! Thank you sooooo much for giving me my life back. Words cannot begin to express how grateful I am that your facility exists and that there IS life after addiction. 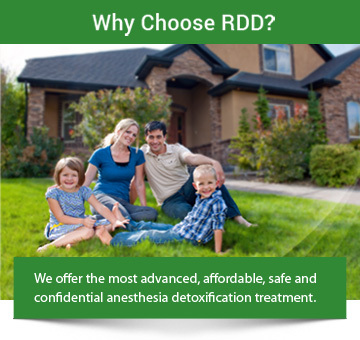 I want everyone who is suffering with addiction or knows someone who is, that the RDD Method™ works. I never thought I would get off of methadone and I would forever be a slave to it. After detoxing, I put on weight and feel like my old self again. Thank you again to the wonderful staff at RDD, each and every one of you were so helpful, I am forever indebted to you!